Newcastle, like Liverpool, takes pride in being exceptional. It has a distinctive accent, an attitude and rebellious energy. But traffic and motorways are why Newcastle is the loudest city in the UK, not exuberant celebration. Because of the nightlife of the City and the surrounding countryside, the North East is a good place to live, if you have a job. The North East has the highest unemployment in the UK. Over a fifth of the young of Newcastle are jobless. Inside the City 16,670 children live in poverty. 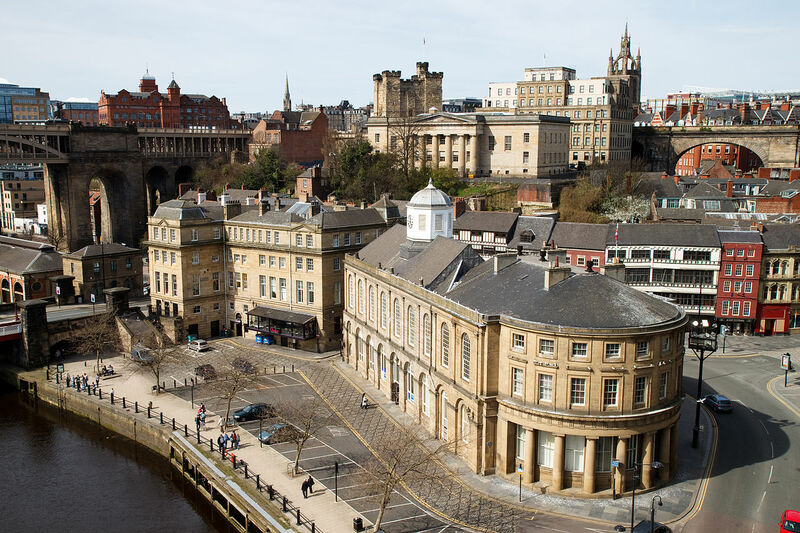 Life expectancy in Newcastle is the worst in the country, eleven years less than the national average. No one remembers it being different. Some of those outside the City blame it on the fondness of indolent locals for Newcastle Brown and football. Remote location and the collapse of manufacturing and mining, though, are why the region suffers. Bottled beer, that tastes like liquid molasses, and football underachievement add to the misery. The City has fewer people than Coventry and is only the eighteenth largest city in the UK. 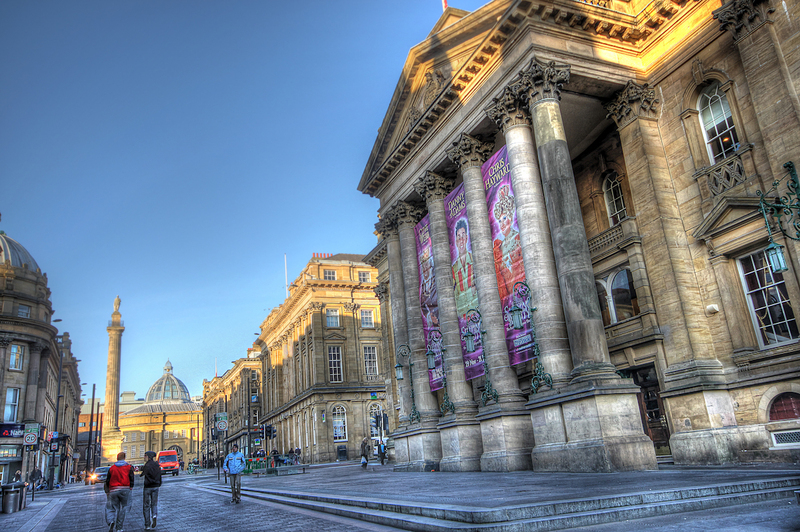 There are 292,000 people who live in Newcastle. The UK Border Agency once had a backlog of the same number. Size is supposed to matter, and yet the architecture and identity of Newcastle proclaim an urban power and strength beyond many other cities. The Quayside is splendid but distinguished as much by entrepreneurial ambition as natural charm. There have always been locals who think Newcastle has a superior destiny. The Castle was built by the eldest son of William the Conqueror. There have been grand plans ever since. Labour politician T Dan Smith was determined to clear slums. He said or quipped that Newcastle would be the ‘Brasilia of the North’. Smith served six years in prison for corruption but the revisionist view is that he was set up by a more corrupt establishment. Not everything Dan Smith created was successful but 60s architecture is like the white jump suits of 70s Elvis, the product of a tasteless decade. Eden Square and the Metro Railway are regarded as his impressive legacy. There are two underground railways systems in England, the London Underground and the Newcastle Metro. Perhaps Newcastle folk just have a taste for icons. Alan Shearer must rate as the most boring man on the planet, and Sting the most pretentious. The Theatre Royal has the finest facade of any theatre in Britain and an interior to match. If indulgence can ever be excused, their afternoon teas must be on the list of treats. The Regency Architecture of Grey Street expresses independent Northern ambition and is one of the best urban strolls in the country. The pub Crown Posada can be found without leaving the Regency Architecture. It serves real ale and has a record player instead of a jukebox or whatever came next. Compared to what is available in Newcastle, the restaurants of Liverpool and Manchester are an embarrassment, and no one has ever given a credible explanation as to why Newcastle pioneered gourmet Indian restaurants. The football played by Newcastle United may be dire but fans can boast that they have the worst owner in the Premiership and their stadium has an unbeatable city location. The icons are there. Posted in Alan Shearer, Coventry, Crown Posada, Eden Square, Elvis Presley, Liverpool, Mike Ashley, Newcastle, Newcastle Brown, Newcastle Metro, Newcastle United, Sting, T Dan Smith, Theatre Royal Newcastle, William the Conqueror and tagged Culture, tourism, travel, UK, UK history on August 15, 2015 by Howard Jackson.